I am on a serious book binge, and when I say serious, I mean a major hording episode. I mean I am exchanging baby pictures with the UPS man. I mean OUT OF CONTROL. I have adored books since I was a little girl when we had Scholastic Book Club in my Catholic grammar school. Several times a year our nun-teachers would solicit our book orders , but the biggest and most exciting order was the one for our summer reading lists. After more than 45 years, I STILL have some of those books, including Candy Stripers, Willow Hill, Everybody Calls Me Father, and one of my all-time favorites, A Tree Grows in Brooklyn. I still can feel the thrill of getting that order of brand-new, off-the-press paperbacks: smelling the fresh ink and fanning the pages. Bliss. You know what? I do the same thing today. I smell the ink and fan the pages. In fact, friends and families find my page-smelling habit rather peculiar. I say, let them smell their roses and leave me to my book bliss. Oh how I love the smell of books, especially old ones. The smell of a library is to die for! Yes, yes, yes!! I have a Kindle, and I like it, mostly for games, but I will NEVER give up my books! Great post! 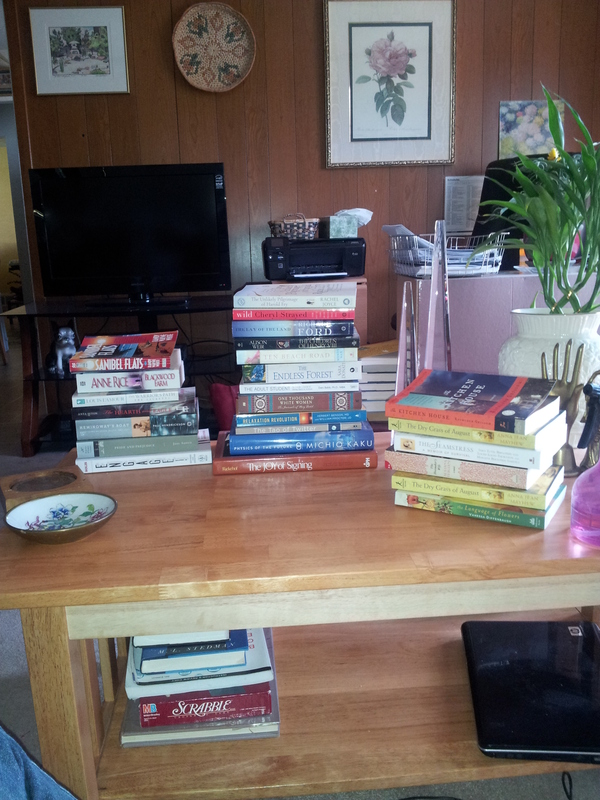 I love books also and some of them are over twenty years old. E-books are convenient, but there’s nothing like opening up a physical book and turning those pages. Thank you for your kind words, and as you know, I could not agree more!! I use my Kindle for about half of my reading, but I will never give up my touchy, feely, smelly books. Thanks so much for your comment!